Our trip to the desert in our new trailer was such an adventure! I love living on the coast but sometimes it’s nice to have a change of environment. Today’s fashion post is featuring pieces I’ve had in my closet for some time now, but I’ve been disciplining myself to use the clothes I have and not fill my closet up with more fabric that a lot of times ends up just sitting there. It’s been hard but it’s also been fun seeing what lost pieces I can put together to make an outfit. 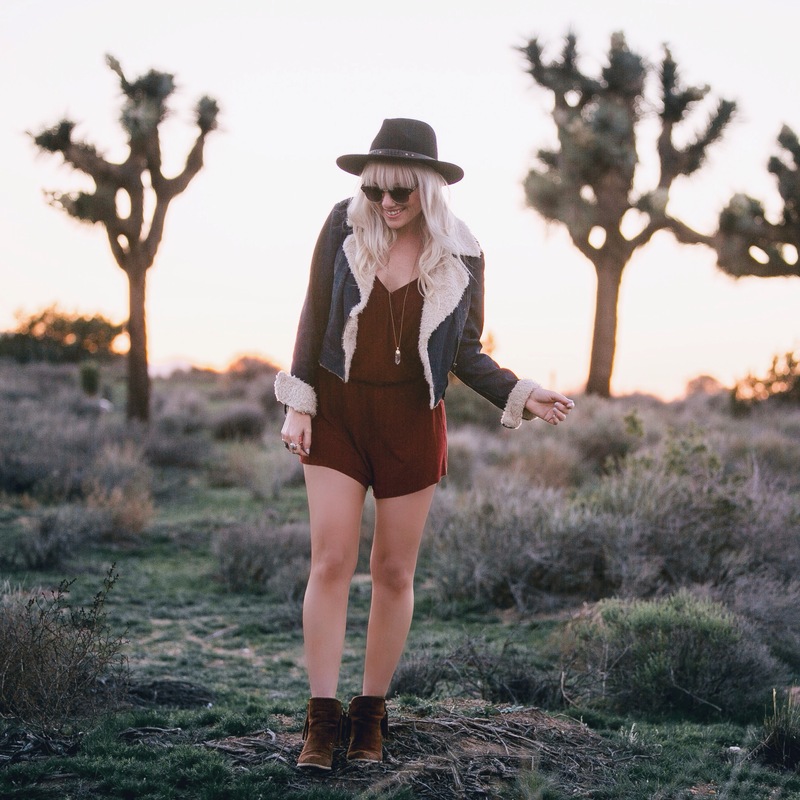 My hat, romper, jacket and glasses are all from Forever 21. My crystal necklace is made by Tiana with Pueblo Street Jewelry Co, my native bracelet is made by me at Kari Jane Co, and my fringe boots are from Not Rated Footwear. If you find some shoes you like there, you can use code “Kari Jane” to receive 20% off your purchase. I hope everyone had a fabulous Easter with your families! these photos are so cool! i love your post!